What does the election of Donald Trump have to do with Brexit and the formation of EU-dissident governments in Italy, Poland, Hungary, and the Czech Republic? Popular nationalism. The popular nationalists all combined grievances ranging across the traditional left–right political spectrum to form fervent antiestablishment movements. They all shocked the political experts by gaining the support of large pluralities, sometimes majorities, of national electorates. Finally, each movement was organized around the proposition that the local ruling class was really part of a transnational elite that ignored the interests and values of its own countrymen. And those elites—politicians of left and right, government careerists, mainstream media and entertainers, multinational corporate executives, and academics and intellectuals—have struck back in something close to unison. The political arrivistes, they say, are ill-informed populists, xenophobic at best and racist at worst, with pronounced authoritarian tendencies. And yet there are dissenting intellectuals who sympathize with the essential motivations and many of the goals of the new national movements, though they may have reservations about particular leaders and tactics. 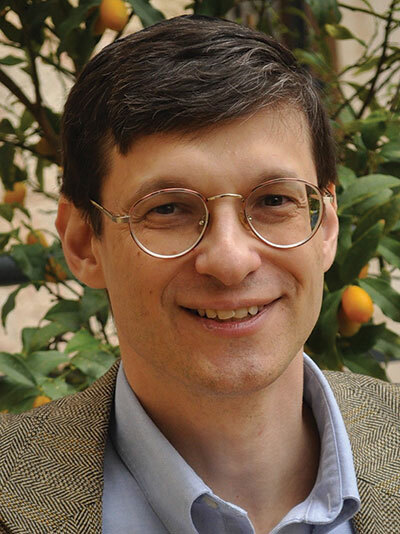 Yoram Hazony is the first such thinker to provide a sustained theoretical argument for the revived spirit of nationalism. The Virtue of Nationalism is a brilliant achievement, at once learned and sharp, philosophical and politically engaged. It is also sure to be controversial. Not only is Hazony’s style of argument bold and emphatic, but his ultimate subject—political virtue—is itself a challenge to the dominant forms of contemporary political discourse. His argument may be summarized in three propositions. First, an order of independent, self-determining states advances human freedom more reliably, and is less susceptible to violent conflict, than a system of government by local tribes and clans—which is in any case not viable in the modern world—or by empires. Second, empires are not limited to historic ones such as the Roman Empire or modern monstrosities such as the Nazi Third Reich and the Soviet Union. They also include present-day “liberal imperialism”—embodied in the European Union and, since the collapse of the Soviet Union, in the America-led “new world order,” espoused in differing formulations by both Presidents Bush, President Bill Clinton, and President Barack Obama. What all of these empires have in common is the effort to establish universal peace and prosperity under a single set of political principles that are defined, bestowed, and enforced by a single sovereign power. Third, since the end of World War II and with increasing force since the Soviet collapse, liberal imperialism has replaced national self-determination as the ideal world order in the minds of Western elites. Hazony argues that liberalism, in both its “classical” and “progressive” varieties, regards individual freedom as the highest political principle. Its exalted position is based on the concept of a primordial social contract—individuals, who are free and equal in a state of nature, form governments voluntarily, by mutual consent, for purposes of securing greater liberty, safety, and property. This liberalism is a universal creed: It abstracts from, and comes to denigrate, the particular traditions, beliefs, and loyalties that are the foundation of actual nations. Moreover, Hazony argues, nationalism has been falsely blamed for World Wars I and II and the Holocaust, which were in fact caused by German and Nazi (and Japanese) imperialism. National states—this is Hazony’s term—are not formed and sustained by the consent of individuals—that’s the liberal “fairy tale” concocted by John Locke and other social-contract theorists. Rather, they are formed by the interaction of constituent groups, often under duress, in order to end warfare among clans, tribes, or factions, to defend against external enemies, and to provide public goods such as resource management and dispute resolution. They endure for these purposes and, eventually, to preserve and transmit inherited traditions. Hazony is an empiricist, and he has the empiricist’s disdain for those who think human reason can deduce universal truths. But when he singles out the sainted John Locke as a subverter of nationalism and then takes several swipes at libertarian icons Friedrich Hayek and Ludwig von Mises as purveyors of liberal imperialism, he is spoiling for fights with otherwise sympathetic readers. There are the makings here for some good, productive arguments, but they need to begin with an appreciation of what Hazony is trying to accomplish. Hazony is a Burkean conservative with classical liberal sympathies. His book is about what political order best promotes freedom, and his views are close to those of John Stuart Mill, whom he invokes frequently. But it is senseless, he believes, to talk of individual freedom in the abstract. Individuals are social animals and, what is more, fraternal animals. We live our lives and learn how to exercise our freedoms as part of collective institutions of intimates from the family outward. We depend on them for our safety, welfare, and happiness, and we experience their successes and failures as our own. If I am free but my wife, children, or neighbors are unfree, then I am not really or fully free myself. There are elements of choice and consent within families, religions, and ethnicities, but, for the most part, individuals “join” such institutions by birth, inheritance, or circumstance and make the institutions’ traditions, customs, and commitments their own through socialization and practice. Such groups could not survive the cost–benefit calculus of the market. Instead, they are built on mutual loyalty and group cohesion. Yet, Hazony insists, these institutions are sources of our freedom. As I stand at a lectern, bristling with sharp criticisms and smart reforms, it is easy to take for granted the immense, invisible apparatus that has put me here. Now that you and I are successful citizens of 21st-century America or Israel or France, let me lecture you on the many egregious and infuriating impositions on our freedoms that ought to be rectified forthwith. As the list of grievances grows, we may come to regard the national state as the enemy of freedom—overlooking the fact that, in the absence of some sort of state and institutional structure, there is no such thing as freedom. Hazony wants the freedom-loving reformer to focus not on individual freedom but on collective, national freedom, which “offers a nation with the cohesiveness and strength to maintain independence and self-government . . . an opportunity to live according to its own interests and aspirations.” This is not the end of his argument, but even at this stage it should be clear that he is not trying to stack the deck in favor of collectivist outcomes. He is concerned that the institutional bedrock of Western freedom is in jeopardy and needs recognition and support. Hazony is perhaps best known as a deep and ingenious reader of the Bible, and, as he persuasively shows, the Hebrew Bible is our first sustained history of the national state. The early Israelites inhabited a world of empires and were themselves slaves to an empire. Moses led them to national freedom and, eventually, to their own homeland. Critically, they were not to meddle in the affairs of other nations: Israel was to be governed of, by, and for Israelites themselves and to strive to live in harmony with other nations. This Mosaic dispensation did not immediately catch on. Christianity was a universalizing religion and soon allied itself with the Roman Empire and later with the Holy Roman Empire. But with the rise of Protestantism, the translation of the Bible into many national languages, and Henry VIII’s establishment of an independent English Anglican nation, and then with the Peace of Westphalia in 1648, a new political order took shape in Western Europe. This early modern political construction was built on the Protestants’ close reading of the Old Testament. First, national states were obliged to protect their people in life, family, and property; to dispense justice; and to maintain the Sabbath and public recognition of one God. This was the “moral minimum” of legitimate government, aimed at fostering individual freedom and dignity. Second, national states were free to govern themselves according to their own traditions, institutions, procedures, and ways of life, without interference from foreign powers. They were, in short, self-determined entities. Now this classic Protestant political construction is not a prescription for perpetual peace, nor does it solve every problem of political order. Its two basic principles are obviously both open to interpretation and in some tension with each other. Nations will form their own ideas of moral legitimacy and self-determination and may come to blows over their differences. National states with no imperial ambitions have frequently been at war among themselves over territory and trade. They have flagrantly violated minimum obligations to their own peoples and even set up their own colonial empires. What the Protestant construction does do is acknowledge the human impulse for collective freedom and offer it protection and encouragement. National self-determination and the “moral minimum” cannot be more than guidelines—for if they were detailed and prescriptive they would need an empire to enforce them. But the generality of the two precepts and the tension between them are strengths not weaknesses. They direct debate and action to the important questions that arise under an order of national freedom. They are ethical standards, left for their realization to prudence and judgment among and within nations and to the many forms of influence that civilized nations can exercise with each other and the pressures they can bring to bear on brutal and conniving nations. National states have also been more prosperous, stable, and resilient because their policies are more responsive to citizens’ interests and values and, in return, enjoy greater loyalty and support when the going gets tough. A national state’s political leaders, drawn from the citizenry, will be familiar national types with a recognizable life story and a common heritage and loyalties. An empire’s leaders will be more distant and less familiar. The leaders will regard their subjects’ traditions and culture as secondary at best, and the subjects will be directed to be loyal to an abstract thing—to an ideology or icon or the glorious empire itself—rather than to their own history, sacrifices, and customs. In the face of reversals and hardships or at times when the government or its officials are unpopular, the bonds of loyalty will be weak or nonexistent. But nationalism’s outstanding virtues are, says Hazony, its affirmative ones. The notion that nations could chart their own distinctive courses, that there was no single model or hierarchy for government, “set the world free.” It produced a decentralized, variegated, competitive political order—and one that in turn set the individual free: “The development of the tradition of individual rights and liberties arose only in national states.” These were necessary conditions for the West’s stupendous achievements in science, art, literature, commerce, and material welfare, which could not have happened in an empire ruled by uniform a priori principles. Our latest empire, Hazony’s liberal imperialism, is, so far, mainly an empire of such disembodied principles. It is a belief system embraced by many influential people but without a comprehensive state apparatus (it is American military might that makes faux multistate governments like the EU possible). Historic empires were based on some grand idea or ambition to which self-determining nations posed an obstacle or a management problem. In contrast, liberal imperialism’s grand idea is opposition to national freedom itself. It is for global harmonization per se and, consequently, the Eurostyle, piecemeal dismantlement of national sovereignty. To see how this works, begin with the liberal idea that people are free and equal and consent to government in order to secure their rights. That idea played an honored role in the American founding, in the preamble to the Declaration of Independence, but it was never a controlling ideology. The declaration’s cause of action was instead a 28-point bill of particulars justifying the states’ rebellion against a tyrannical king. America became a nation of highly particular and disparate localities, religions, ethnicities, traditions, and institutions, united by its own mystic chords of memory, at once fractious and patriotic and distinguished for pragmatic, nonideological politics. The liberal idea has been instrumental in the American political tradition, but as an ideal, akin to the moral minimum of the Protestant construction—a sort of continuing preamble that frames debate and application from issue to issue. In contrast, liberal imperialism takes individual freedom and equality as an absolute criterion that renders the national state, and its idiosyncratic loyalties and commitments, suspect or worse. The most striking example, and the central cause of today’s nationalist revivals, is immigration. In the United States, a significant number of activists on the progressive left now favor, more or less openly, the dismantling of border controls and unrestricted immigration (“abolish ICE!”). This position finds strong support among intellectuals and not only on the left. The estimable political theorist Jeffrey Friedman has argued that national restrictions on immigration are “irrational” and “morally indefensible” because they put the interests of fellow countrymen and -women ahead of the interests of people who happen to reside elsewhere. Some prominent political leaders have been moving toward this position, most dramatically German chancellor Angela Merkel. Liberal imperialism is more than just Locke for moderns. It envisions a world of borderless humanity, with every individual possessing equal rights and brotherhood with every other, as the proper, moral order of politics and guide for right policy. This world view is a powerful force for ad hoc empire building, including of the antiliberal sort. Witness the many EU programs for harmonizing national tax, welfare, and regulatory policies, whose purpose is to suppress diversity, competition, and innovation. It is also a font of the growing orthodoxy and intolerance in EU and U.S. politics. Hazony directly confronts the counterargument that nationalism fosters needless antagonism, easily rising to hatred, among people of different ethnic and religious groups and nationalities. His refutation is a variant of his argument about war and violence: Empires may suppress group hatreds that would otherwise gain traction in nationalist politics, but they are eventually “consumed by the hatred of the universal for the particular that will not submit.” This is an argument that a political theorist sensitized by the experience of Jewish history is particularly well positioned to make. In fact, the centerpiece of Hazony’s argument is a perceptive analysis of the European “shaming campaigns” against the state of Israel. Despite the recent electoral uprisings against the liberal imperium, Hazony is not sanguine about the prospects for a renewed nationalism. With the growth of markets, affluence, and technology, many of us (and not just elites) live most of our lives within institutions that are thoroughly contractual and frequently borderless. With the decline of family and religion, even the new opponents of liberal orthodoxy are often clueless about the traditional and institutional sources of their opposition. One result is that they routinely fasten onto one element or the other of the Protestant construction without realizing that effective nationalism requires both. Thus, for instance, “neo-Catholic” human rights activists want governments to observe traditional Judeo-Christian moral norms—but many of them are suspicious of national self-determination and sympathetic to coercive international law. Meanwhile, “neo-nationalist” political activists oppose the EU and other supranational restrictions on sovereignty—but many of them glorify the nation-state as an end in itself, oblivious to its religious foundations, moral obligations, and responsibilities to vulnerable minorities. Indeed, reading Hazony against the background of 2018’s hair-raising headlines, one is struck by the gulf between the theory and practice of nationalism. Of course, political practice is always rather stumbling and confusing in the moment, but today we seem to be facing larger problems. The new nationalist movements may be like landing parties—they have the single-minded intensity for gaining a beachhead but will need to be followed by steadier, more deliberate forces if there is to be a real nationalist reclamation. Or maybe we are witnessing the death throes of the national state itself. 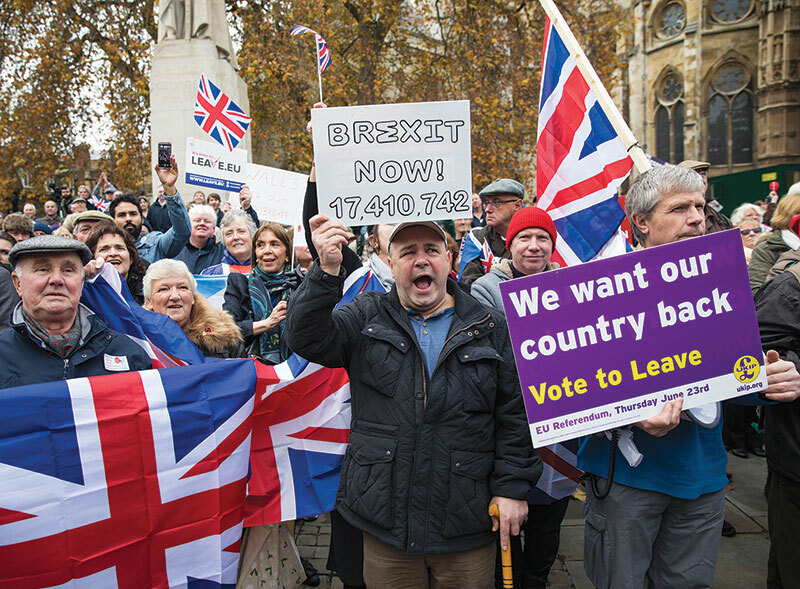 Two years after the national Brexit election, the British government has yet to begin disentangling itself from the EU and may never do so. In the United States, many in both political parties have come to regard the other party as fundamentally illegitimate. Almost everywhere, representative legislatures are losing authority to unilateral executive government. It is against this background that one of the most impressive features of The Virtue of Nationalism comes into focus. Hazony’s book is not only a work of scholarship but also a guidebook for virtuous nationalism. The order of national states, he tells us, is not a theoretical necessity; it is simply the order we know of from experience that is most conducive to human thriving. It requires, however, that national statesmen understand its principles and dedicate themselves to its maintenance. 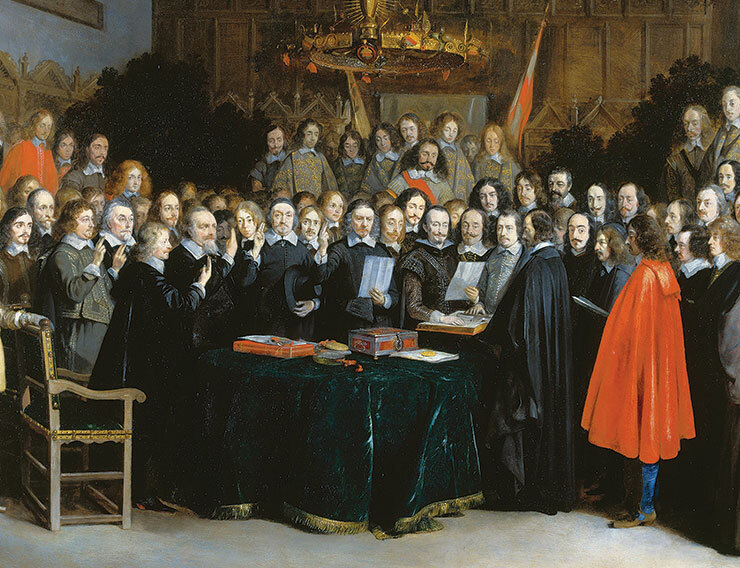 Thus, for example, the two elements of the Protestant construction are often complementary in practice—because the statesman who devotes himself to the inclusive interests of his own people will thereby promote mutual loyalty and cohesion, which are the essence of self-determination and the ultimate guard against foreign meddling. Moreover, the order of national states requires the statesman to protect his nation’s traditions zealously and also to recognize the traditions of others—thereby fostering detachment, moderation, and respect for minority traditions in his own nation. Many readers will wonder whether Hazony’s analysis and guidelines leave room for American exceptionalism. He does not confront the question directly, but I will hazard a qualified “yes.” He is, it is true, wary of large national states, because they tend to take an unduly expansive view of their own interests, and he does not hesitate to classify America’s “new world order” ambitions of 1989–2017 as a species of liberal imperialism. However, he singles out the Anglo-American traditions of constitutionalism, separation of powers, and rule of law as among the greatest achievements of the Protestant construction, worthy of emulation and adaptation to other national circumstances. When America transplanted aspects of those traditions by force to Germany and Japan after World War II, it was pursuing both its self-interest and the interests of the wider world, not empire building. And there are many continuing examples, such as the protection of open sea lanes, where America’s expansive self-determination produces critical public goods for other national states. Most of all, America is essential to maintaining a balance of power with China and Russia, which would undoubtedly run roughshod over smaller national states were it not for America. Donald Trump’s “America First” address to the U.N. General Assembly, which I quoted earlier, in addition to complaining about international free-riding on U.S. wealth and power, also praised the Marshall Plan, condemned North Korea, Iran, and Arab terrorist networks in strikingly blunt and threatening terms, and pilloried Venezuela as a catastrophically cruel regime that America and other nations should bring to account. I suspect that Hazony would regard this as hard-headed realism, not imperialism. [F]ierce concern for the material prosperity, internal integrity, and cultural inheritance of the collective makes every family, clan, tribe, and nation into a kind of fortress surrounded by high, invisible walls. But these walls are a necessary condition for all human diversity, innovation, and advancement, enabling each of these little fortresses to shelter its own special inheritance . . . Inside, the things that are said and done only in this family, clan, or tribe . . . are given time to grow and mature . . . until they are ready to make their way outward from the family to the clan, from the clan to the tribe and the nation, and thence to all the families of the earth. Christopher DeMuth is a distinguished fellow at Hudson Institute and the former president of the American Enterprise Institute. This was very insightful. Looking forward to picking this book up soon! Poet Eliaz Cohen is a Religious Zionist who lives with his family on a kibbutz in the southern West Bank. And thereby hangs a tale. In the summer of 1977, two old friends ran into each other in front of a Paris bookstore and found themselves arguing about Simone Weil, Judaism, and their lives. Rutu Modan’s graphic novel The Property explores the uneasy coexistence of love and death.